“From the beautiful display to the powerful S Pen and best camera in its class, the Samsung Galaxy Note8 is a device designed for those who dream big and want a phone just like them. Samsung Fans, as of the 20th of October 2017, you can do more with the Samsung Galaxy Note 8. 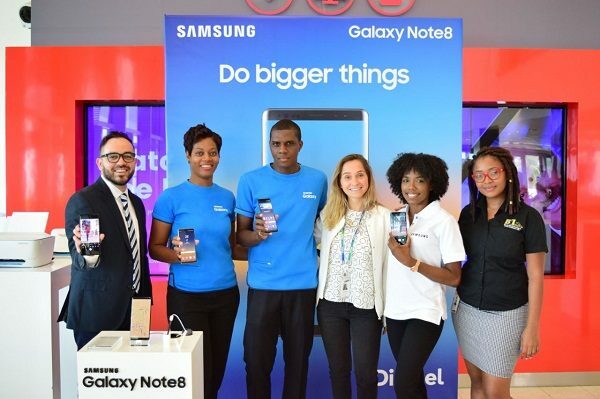 Samsung Electronics, global leader in communications, announced the arrival of the new Samsung Galaxy Note 8 to Jamaica, taking creativity to the next level with a larger infinity display, enriched S Pen and the best camera on a smartphone in Samsung’s history. 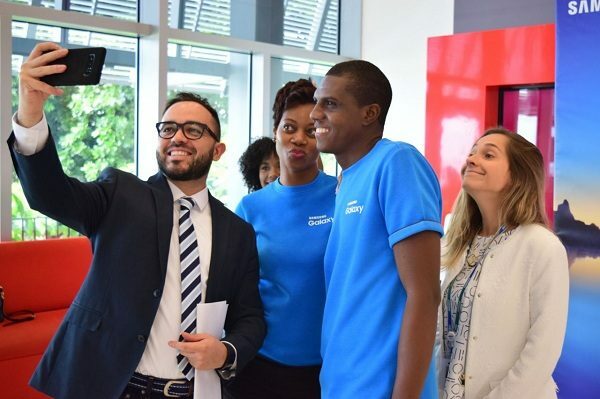 Samsung, in the true spirit of unity, held a launch party involving BOTH Digicel and FLOW, with Product Manager of Samsung Electronics Latinoamerica, Leonardo Silva, doing the honours to introduce their latest creation. I couldn’t make it to any of the product launches due to my students at Jose Marti Technical demanding my time (I’m a Math Teacher!!). But I got to do a phone interview with Product Manager of Samsung Electronics Latinoamerica, Leonardo Silva. 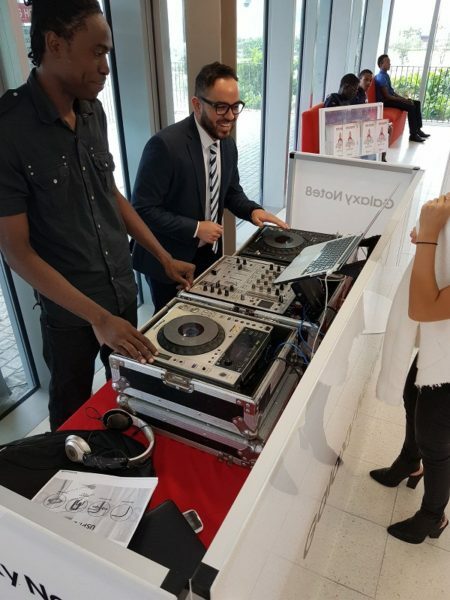 He was at the Digicel version of the launch at their Headquarters which naturally was theme red, white and blue and also had time to be a DJ. 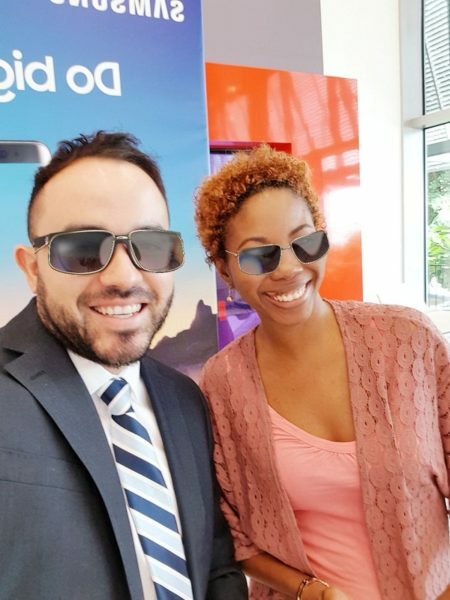 So what’s new about the Samsung Galaxy Note 8 in Jamaica!? 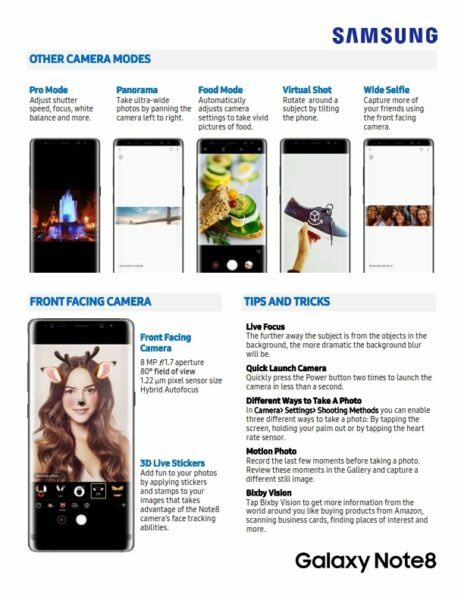 The Galaxy Note 8 is founded on the Galaxy Legacy: a collection of unique features and capabilities that together have redefined the mobile experience. 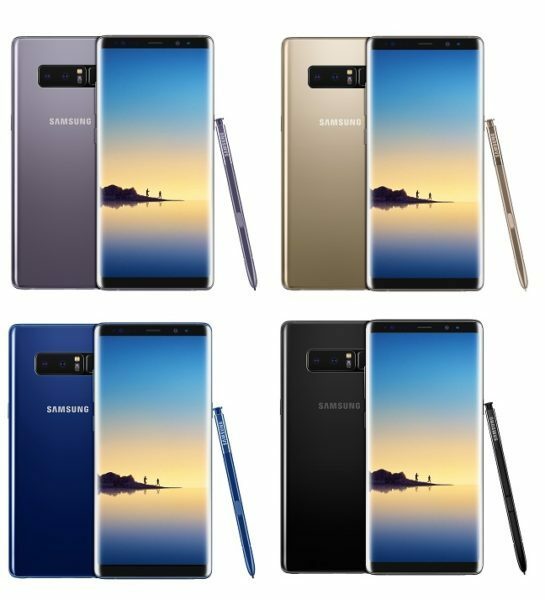 It’s packing 6GB of RAM, a 10nm processor and expandable memory (up to 256GB), Galaxy Note8 delivers the power you need to navigate, stream, play and perform various tasks simultaneously. On top of all that, Samsung remains committed to user safety, with the Galaxy Note 8 battery having undergone Samsung’s 8-point Battery Safety Check, the most rigorous in the industry. Its 6.3 inch Quad HD+ Super AMOLED Infinity Display, gives you more space to see, read and draw as I’d pointed out in “Samsung Galaxy Note 8 promises to Do More on the Infinity Display”. 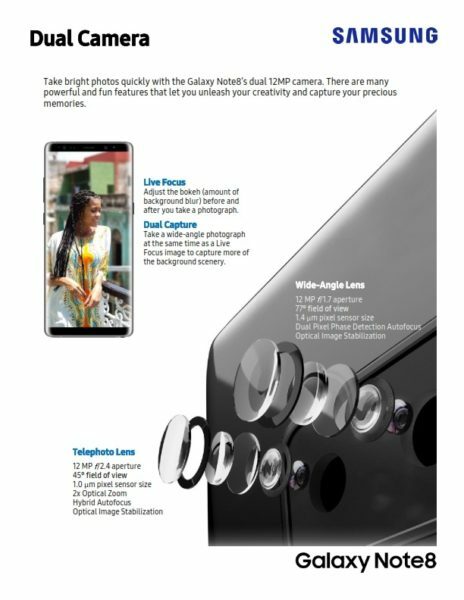 In addition, it has two 12MP rear cameras with Optical Image Stabilization (OIS) for both wide-angle and telephoto lenses. Here an example of a wide angle shot from Digicel’s Launch. In Dual Capture mode, both rear cameras take two photos simultaneously and allow you to record both images. The Dual Camera sensor with fast Autofocus on the wide-angle lens allows you to capture clearer and sharper shots, even in low-light environments. As expected of a smartphone of this calibre, the Galaxy Note 8 sports a water and dust resistance IP68 rating as well as the S Pen so you can write even when the display is wet as I’d pointed out in an earlier article How the enhanced S Pen is the heart of the Galaxy Note 8. So what’s the deal with the S Pen!? The S Pen features a finer tip, improved pressure sensitivity and new features like Live Message. This allows you to move the cursor over the text to quickly translate not only individual words, but complete sentences in up to 71 languages and instantly convert foreign units and currencies. It also includes the new App Pair feature, which allows you to simultaneously open two of your favorite apps in split screen view. The S Pen in the note series can take notes with Screen Off Memo and be pinned to lockscreen for later viewing. This is a part of the Always On Display, which lets you keep track of notifications without unlocking the phone. 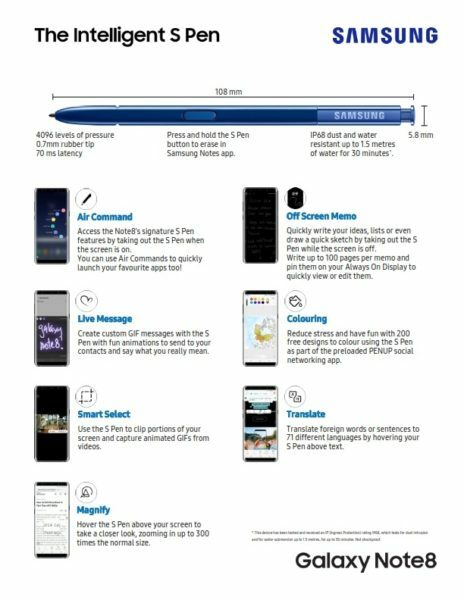 Screen Off Memo makes it possible to take up to a hundred pages of notes from the moment the S Pen is removed from the device and also annotate and edit directly from the Always On Display. But the standout feature has to be the animated GIFs and 3d stickers. 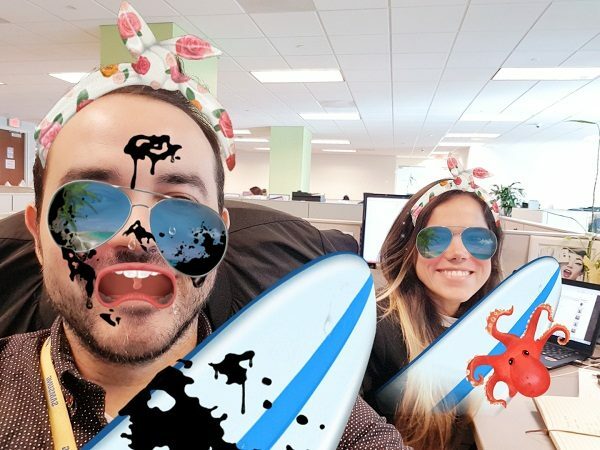 Similar to those on Snapchat, the feature places masks on real-world images and allows you to convert them to 3D Live Stickers in real time. Please take note of the demonstration as shown below as this is very important! Here is the Glasses 3D Filter effect! Very convenient if you wanna appear cool without having to get shades! Want to go underwater but not get wet? 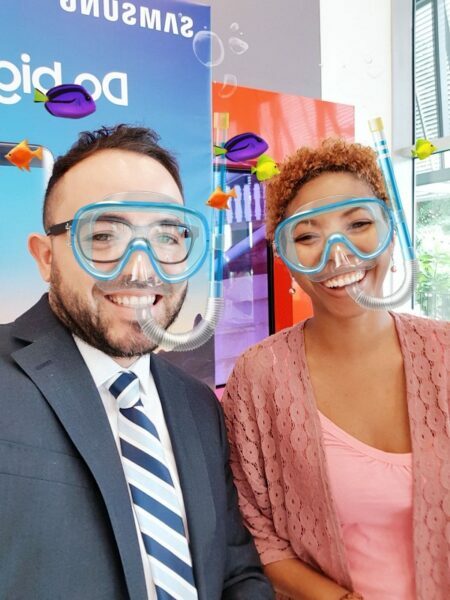 This 3D feature adds a snorkel to make you look like you just came up from a dip! Time to let your animal spirit out!! 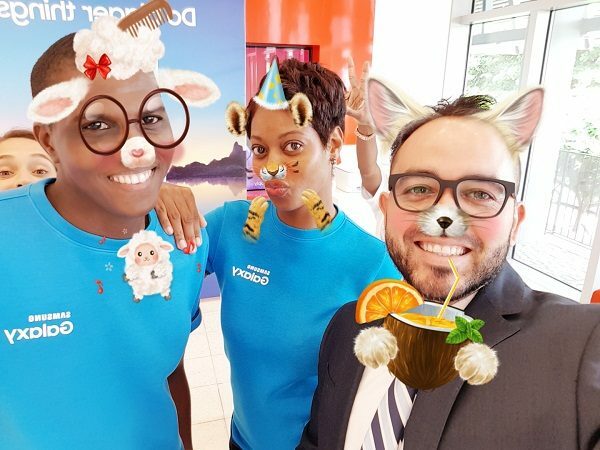 Lamb, Tiger or a Fox drinking a coconut are actual choices on the Samsung Galaxy Note 8! Finally going surfing with sunglasses and a squid is totally possible. Again, this dear reader, is very serious stuff and is a feature that’ll bring much joy to many Jamaican who perceived the Note 8 was just a workphone. To add to the Note 8’s party side, you can also create animated GIF’s or drawings and share them on social platforms that are compatible with animated GIFs. Very cool Samsung; 2 paws up for that one! The Samsung Galaxy Note 8 also has the most advanced wireless charging capabilities. It also boasts a selection of biometric authentication options including iris and fingerprint scanning. And yes, to protect all those photos and personal data files is Secure Folder which allow you to separate personal and professional data. It also features Samsung Knox which can create secure VPN tunnels as described in AnyConnect for Samsung Knox is a Cisco Systems partnership for Secure VPN Communications. 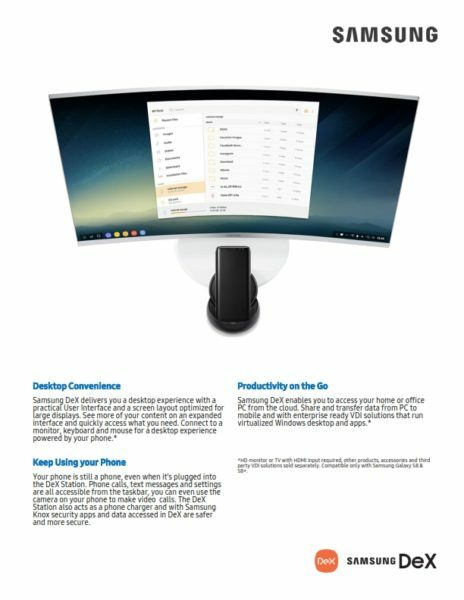 This means you can work from anywhere using Samsung Dex. Combined with secure VPN Tunnels, Samsung Dex is designed to improve productivity for professionals working remotely while reducing the need to carry multiple computing devices. All this can be done directly from this Samsung Galaxy Note 8 super fabulous 6.3 inch Quad HD+ Super AMOLED Infinity Display, which can be paired with a larger display, keyboard and mouse! 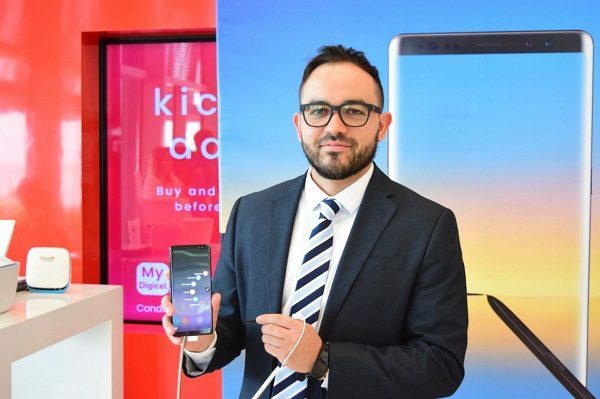 As Product Manager of Samsung Electronics Latinoamerica, Leonardo Silva points out, this was done with the customer in mind so that they can do more and take their creativity to another level, quote: “Therefore, the Galaxy Note8 has been custom-made for its consumers, a group united by its love for the device and that has been our inspiration to create a unique, beautiful and powerful smartphone that takes multitasking to another level, offering the freedom and inspiration that is needed to create like never before”. 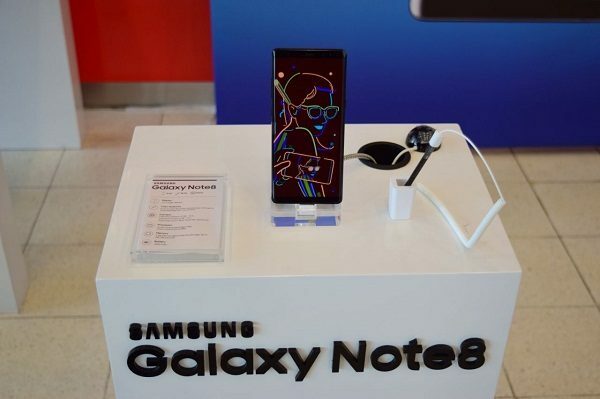 Rest assured, more in-depth look at the various features of the Samsung Galaxy Note 8 is in the works, especially the Samsung Dex and3D Live Stickers. So definitely, this is a great upgrade to your current Samsung Galaxy smartphone as you can definately Do More with the Samsung Galaxy Note 8.